Not one, not two, but THREE state senators called me up yesterday. I got answers on questions I had on legislation they sponsored. Had some pretty good feedback but have reservations. Sign in and check it out. HERE is my first article about these matters. I had a couple of questions/concerns about a few and was graciously granted time and explanation by all three state Senators involved. Doesn’t mean I agree with their narrative but I am thankful for such speedy and thoughtful responses. Let us begin with Colin Bonini’s soon-to-be-proposed legislation that would allow the dying to gain access to existing drugs not then fully approved by the FDA. 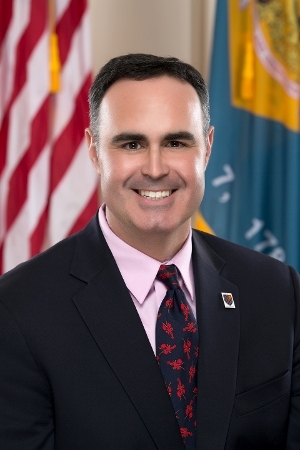 Bonini is Senator for lDelaware legislative district 16 and is Republican. The possible existence of this bill was a result of some sort of press release. You got to love Senator Bonini but he does work the public relations angle with a fluidity. Senator Bonini assures me that the release of medicine not yet fully approved by the FDA does not mean there has been NO testing done with the test drug. Before any such medicine can be released to a dying Delawarean it will have gone through animal testing and the drug will be known to be generally safe to use. There are two other prime sponsors of this bill (and I don’t know what a “prime” sponsor is but Senator Pettyjohn assures me he will teach me, more on this later) and they are both Democrats. Read into that fact what yon reader will. Senator Bonini informs that five other states have this law. When I questioned how a state can over-rule a federal law, Bonini summarized the bill as basically immunizing various medicos from rescue personnel to doctors against any legal action should the un-tested drug be used. I look at this law and wonder. It certainly sounds logical but again, as I wonder, why do we need a law to effect what we all know as “common sense”. When death is the only outcome but of course such a common sense action as trying an unfully-tested drug would be logical. But then lawyers do not know logic and but of course, I must suppose without this law should a desperate dying Delawarean be saved but suffer serious consequences, well What else would they do but SUE? We move on to Senator Ernesto Lopez, Republican Senator Ernesto Lopez representing legislative district 6, which includes Lewes. Lopez is sponsor of a bill that would discontinue pensions for Delaware state employees who commit a heinous crime, to include child molestation and the more horrible crimes we could name. Lopez assured me that there would be no grandfathering, thus those already sitting in jail and convicted of these crimes will not be effected. In addition, and the good Senator assures me that this was an important factor of the bill, currently senate bill 12 on the docket, the bill protects innocent spouses. Thus a spouse of a person convicted of such crimes AND not part of the deeds, will be guaranteed their share of the pension of the offender. This makes sense in that one can be married to someone, perhaps not working and garnering a pension but nonetheless a financial party in the marriage. This innocent spouse would not be denied access to a pension for a crime they did not commit. Once again, this all sounds good. And there are quite a few Republican co-sponsors of this bill. I asked Senator Lopez if there were many examples of a person committing heinous crimes sitting in jail and collecting a pension. Lopez told me that there is estimated currently almost a couple of dozen of offenders like this in Delaware jails while collecting a pension. I’m just not sure if it’s fair to take away one’s pension for a crime. Take away one’s freedom, yes. Take away their right to carry firearms-more on this later-fine. Take away even their right to vote, sure. But to take away money they’ve earned over many years when, just for argument’s sake, they may have not been committing crimes….well it seems a bit reaching too far. Lopez assures me that he sponsors this law strictly for employees of Delaware, not the counties or towns or of private businesses. And Senator Lopez surely is the right legislator to sponsor this bill as he has been a life-long state of Delaware employee. Makes it not look personal when a legislator that might well be affected by a bill is the one sponsoring it. Finally I spoke to Senator Brian Pettyjohn, Republican Senator from the Delaware legislative district 19, -my very own in fact. Pettyjohn is a Republican. So okay I got a special place in my heart for Brian in that he was the first to call me the day my priest died. He also offered, and for which I will take him up, to reserve me a seat in an upcoming legislative session and would sit with me and give me some much needed mentoring. Not to mention he is MY senator….that’s important. Pettyjohn is sponsor of Senate bill 12, which mentions guns and this caused me angst. 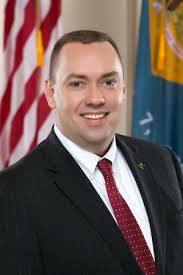 What the bill does, Brian explained, is change or eliminate wording in Delaware code 1448, title 11, which allows persons convicted of a felonious crime while an adolescent age 16-17, should they keep clean until age 25, they will no longer be considered a violent felon for purposes of carrying a firearm. Thus they will not be subject to mandatory sentences required for violent persons convicted of carrying a firearm. Pettyjohn said that Matt Denn, Delaware’s new attorney general, asked for this bill in that there are huge problems in Wilmington (SURPRISE!) caused by criminals who too often fall into that exact same category. Delaware prosecutors are frustrated because the one law that would take away their firearms, which they should not have no more than a 21 year old who murdered the counter clerk….does NOT apply. So the 21 year old who murders the store clerk will get mandatory sentencing for possession while the 22 year old who murdered ten people while age 16 can carry a firearm with no penalty. At least that’s how I understood it. Brian did a great job of explaining it. I told him I was distrustful, that too many lawmakers use all kinds of devious ways to take away our second amendment rights, that I was worried that this might be yet another one. Senator Pettyjohn assured me that this tweaking of Delaware law was needed, as he was convinced. So I very promptly did get back to yon readers with the answers that I promised in the post linked above. I thought each Senator was most gracious and I thank them all. 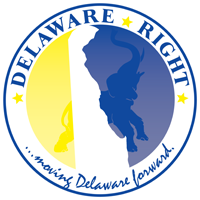 We will continue to check on this Delaware legislature because they have a habit of passing laws that affect me and you. NEXT :More tidbits….an overview of ME. I know y’all can’t wait.